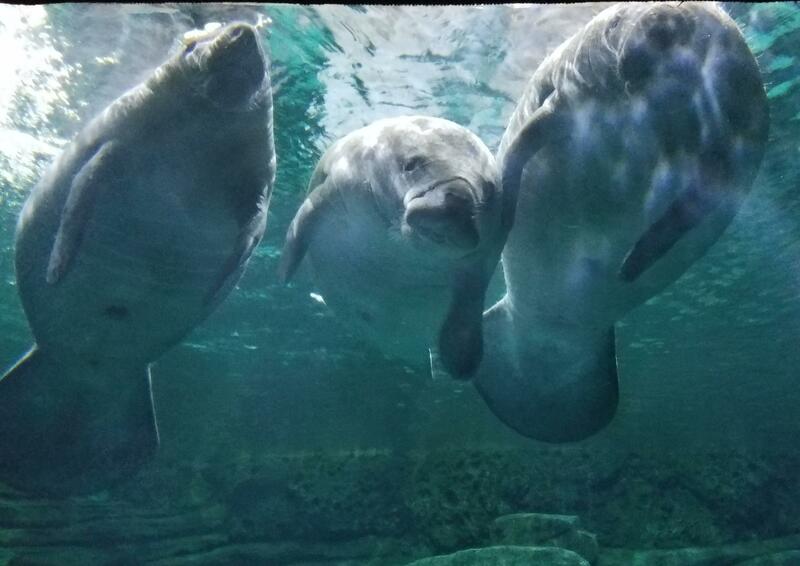 The Cincinnati Zoo's three manatee calves are adjusting well to their new habitat having already learned to respond to an underwater feeding bell. Three orphaned manatee calves are settling in nicely to their new home at the Cincinnati Zoo. Pippen, Matthew and Miles arrived last week from SeaWorld Orlando where they'd been raised after being rescued from the wild. Zookeepers say the manatee calves seem to enjoy exploring their new habitat. "They are doing surprisingly well," says Senior Manatee Caretaker Lindsay Garrett. "They're doing better than we thought. We weren't expecting anything really bad but they've just gotten into our routine right away." The manatee calves love to play in the Manatee Springs bubble makers along the top of their pool. The manatees are already responding to their feeding cues and seem to really enjoy spending time in the behind-the-scenes acclimation pool. That's good because it's where zookeepers administer medical attention when needed. It's also where they feed currently. "They're exploring our main habitat... they are kind of getting into everything and exploring, which is great. We want to see them using the habitat to its full potential," Garrett says. 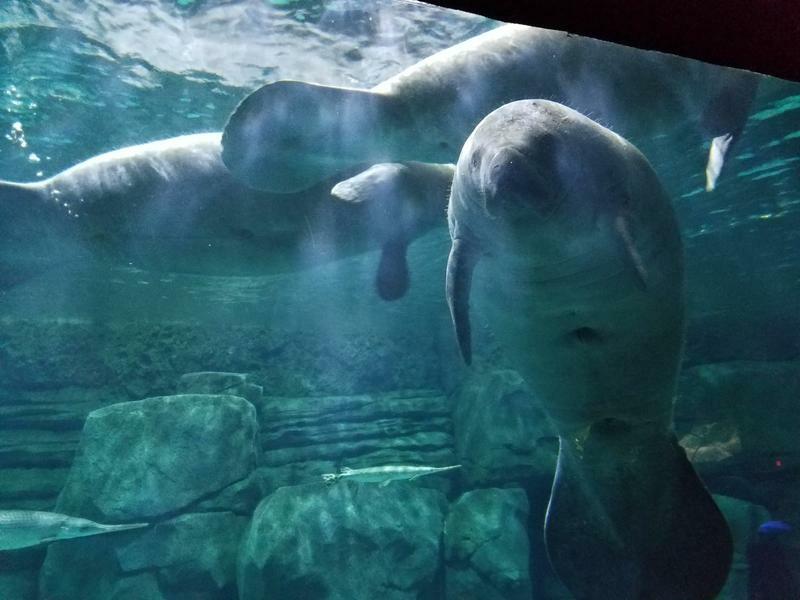 The three manatees are in Cincinnati for rehabilitation so they can be released back into Florida waterways in about two years. Matthew was separated from his mother during Hurricane Matthew in 2016. It's unknown why the other two were orphaned. 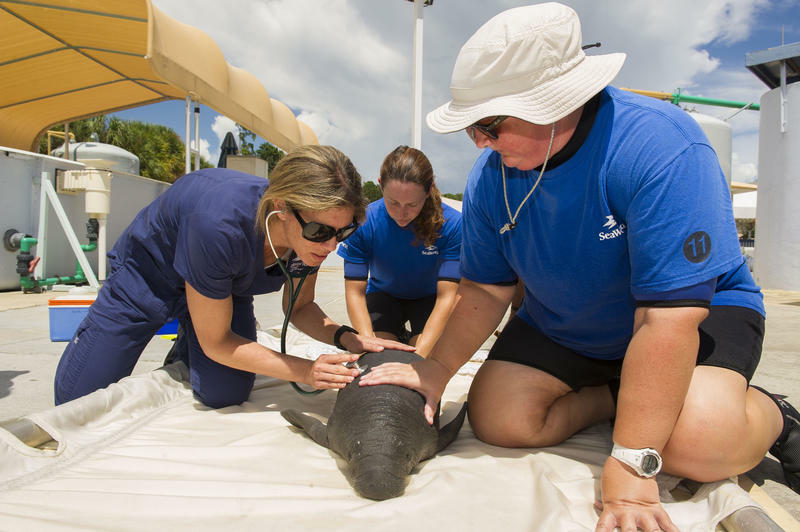 Keepers say Pippen, the smallest of the three manatees, tends to be the ringleader. 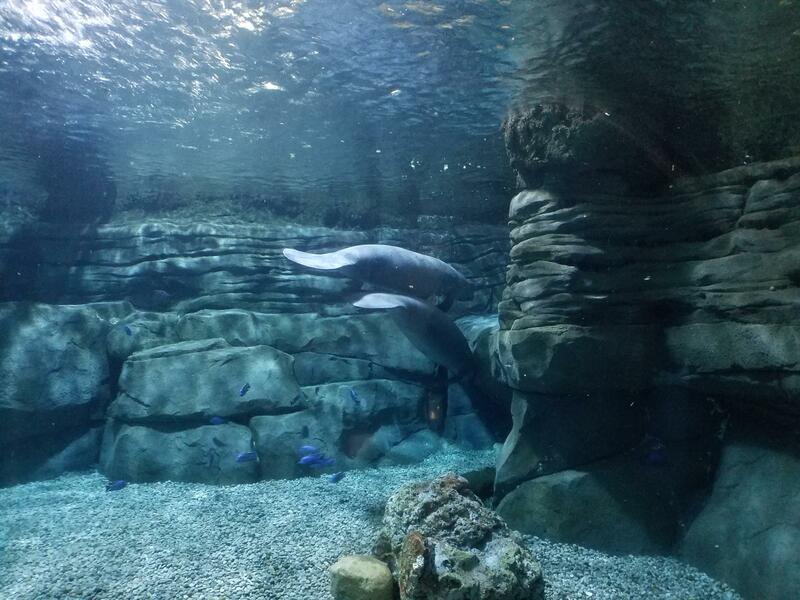 Since they can move freely between the acclimation pool and the main habitat, the others usually follow wherever he goes. "Our whole role is just to keep them growing to let them get big enough to take care of themselves. When they get around 600 pounds they'll be ready for release." 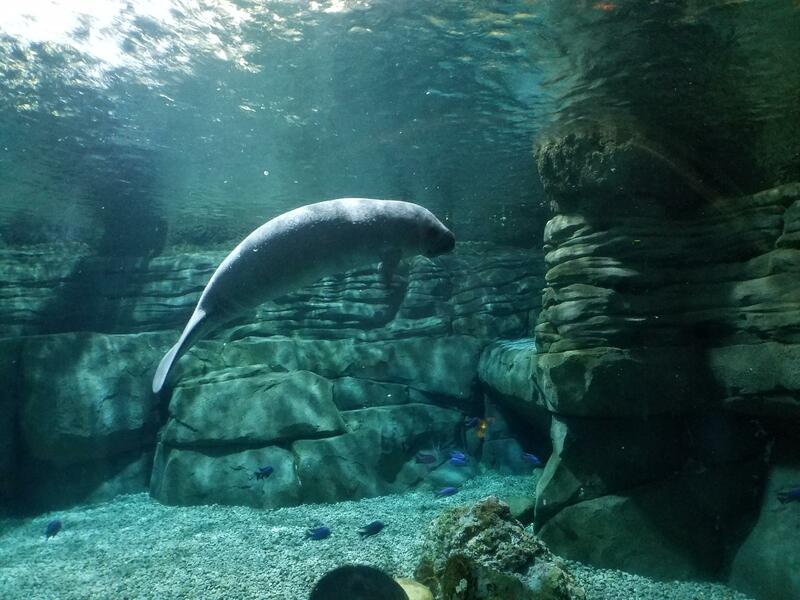 Garrett says that means the manatees will likely be at the Cincinnati Zoo for two years. "They're being very entertaining too. With three little ones, they're playing a lot. They are playing with each other. They're playing with the bubbles in our environment. They're checking out all the fish. We couldn't be more pleased with how they're settling in." See ya later! The manatee calves head back toward their acclimation pool. This is where they're being fed, so they like to hang out behind-the-scenes. Two manatees are back in Florida and three new ones are now receiving care at the Cincinnati Zoo. "You say 'goodbye,' I say 'hello.'" 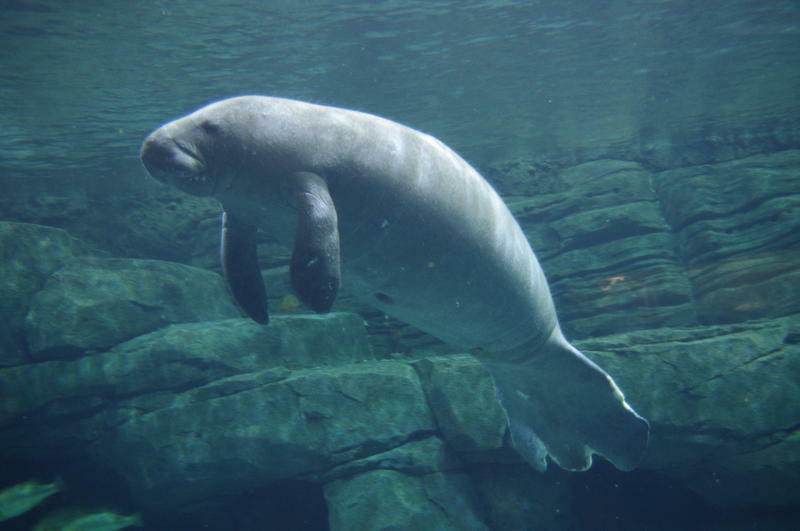 The Cincinnati Zoo is welcoming a new addition to its Manatee Springs exhibit. A two-year-old male named "BamBam" is joining 25-year-old "Betsy." BamBam was rescued in January from Desoto Canal in Brevard County, FL. The Zoo says he's "been receiving critical care for severe cold stress."